A big reason why I started blogging was because of the impact that other blogs had on me. I still read other blogs all the time, many of them other beauty bloggers and lifestyle bloggers I have followed for years. But, I digress. I love learning from other people who happen to have an astonishing amount of knowledge on a niche area I would like to learn about. That’s why I am going to start writing some round-up posts where I share my favorites in different categories, starting today, with my favorite Clean Beauty Bloggers! I started transitioning to clean beauty and lifestyle products right around the time I was going to have my son. I started reading blogs like Mommypotamus and The Wellness Mama. 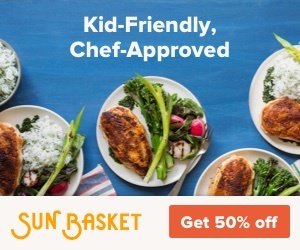 These blogs were the starting point for how I learned how much garbage is in the food we eat and products we buy. For example, we absorb over 60% of what we put on our skin into our bodies. Take a look at any product label in your medicine cabinet and – yeah. Not good. Then, I got diagnosed with an autoimmune disease, which I talk about here and here. That led me to really look at what we were buying and make clean trades whenever possible. Small Changes Equal Big Changes. Don’t throw out everything you own. Just start replacing each product as they run out with a different product. Or, if it’s a product you just can’t live without – accept that and replace other things to help balance it out. 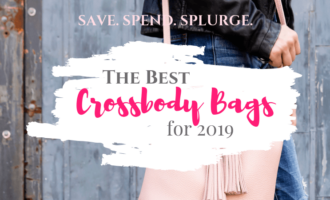 Luckily, we live in an age where there is so much information online making it easier than ever to find dupes of great products or learn about new ones we never considered. Blogs are such a rich resource for this type of information, so that’s why I’m sharing the 10 Incredible Clean Beauty Blogs that have been so helpful for me on my clean beauty revolution. With a super clean design that makes it very easy to navigate around and more to offer than just beauty, The Good Trade is a good first stop. 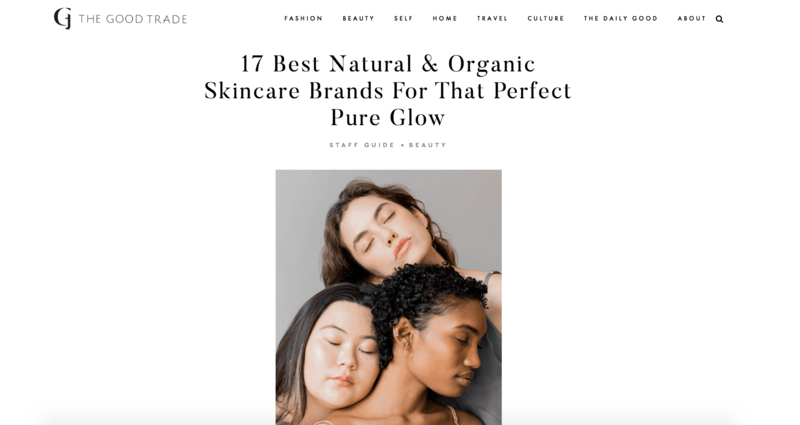 Dedicated to articles on conscious living, The Good Trade shares great info on a range of subjects, from how to find a therapist to the 17 Best Natural & Organic Skincare Brands for that Perfect Glow. 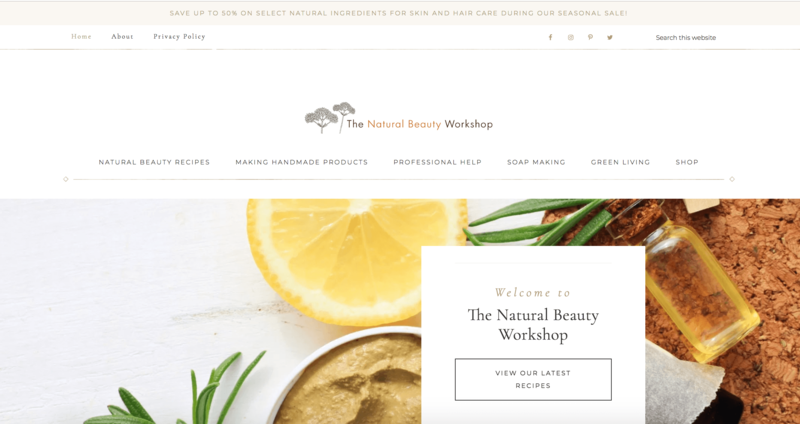 If you’re looking to learn more about clean beauty – but also, a more sustainable, healthy way of living – then The Good Trade will not disappoint. 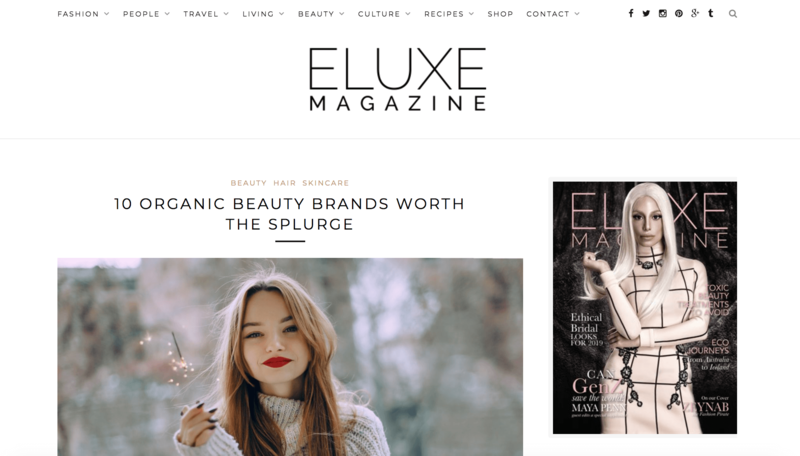 Eluxe is a full-service, award-winning sustainability blog, which means while it covers clean beauty in a pretty serious way, they also cover a range of lifestyle subjects, too. For example, their 20 Sexiest Vegan Women post is a perfect example of their fearless dedication to covering clean living unapologetically. 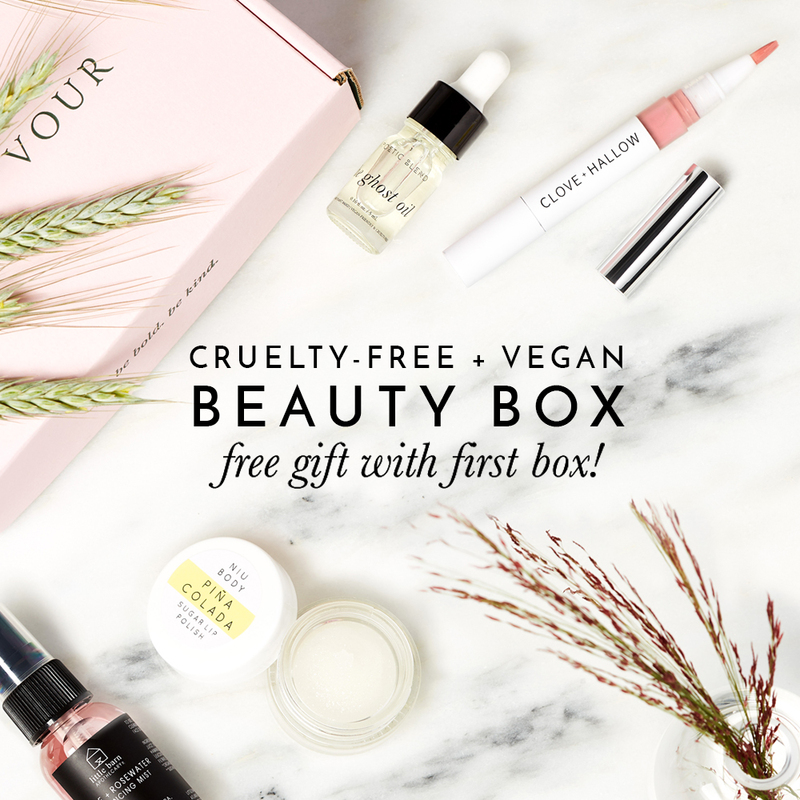 Don’t expect to suffer for your choices at Eluxe, because posts like 10 Organic Beauty Brands Worth the Splurge will show you that luxury can be synonymous with clean beauty, too. Kate is the stunning mastermind behind LPN, which is much more your focused clean beauty blog, rather than giant magazine. It’s not small on content, though, because Kate delivers everything from the best clean beauty looks to caring for your yoni. Reading LPN sort of feels like you just sat down for tea with your BFF who just happens to be in-the-know on all of the clean beauty deets. Highly recommend. 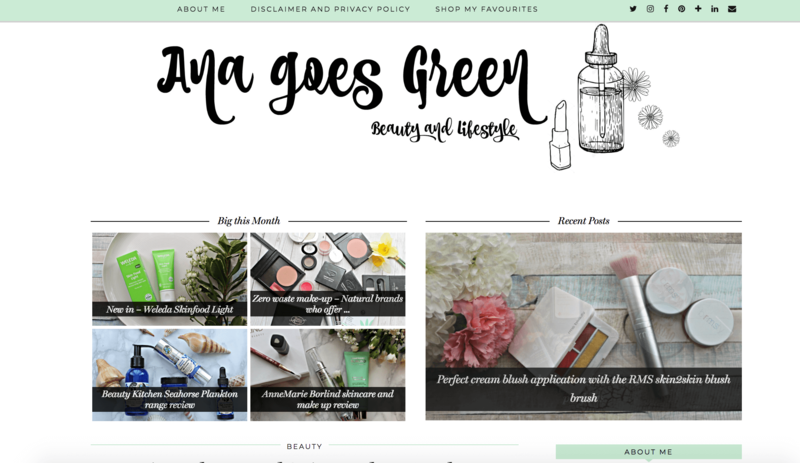 Ana Goes Green is a clean beauty and lifestyle blog written by Ana, who is also a mom. So, she also has great picks for how to take care of your skin while pregnant or how to shop for zero waste makeup. Her clear, informative writing style is what has earned her a solid following and a 2018 award for Who’s Who in Natural Beauty. I’ll admit, I found their products first. 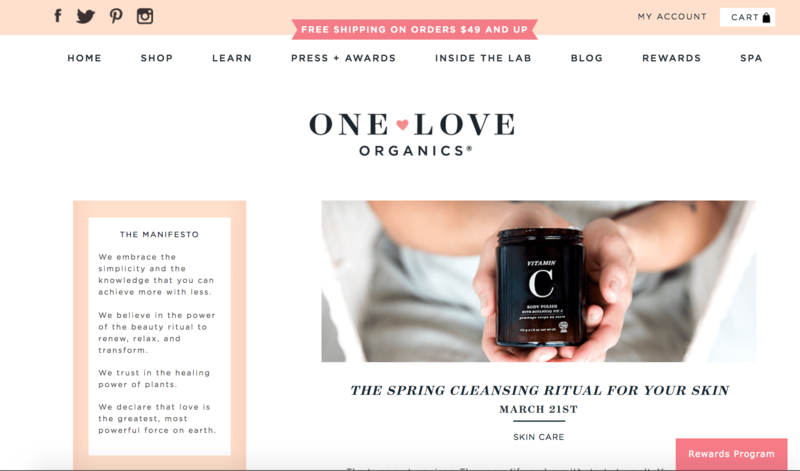 I was going down the clean beauty rabbithole and kept reading about the One Love Organics Vitamin B Enzyme Cleansing Oil. Then, I picked up some of the trial and travel sizes to try other products and I was hooked. 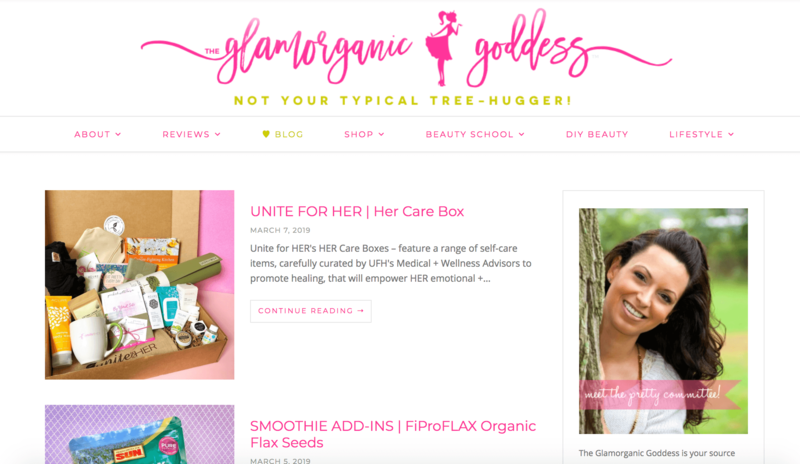 Their blog is a continuation of their incredibly beautiful, effective, plant based products where they share how to care for yourself, inside and out, in the cleanest, gentlest way. 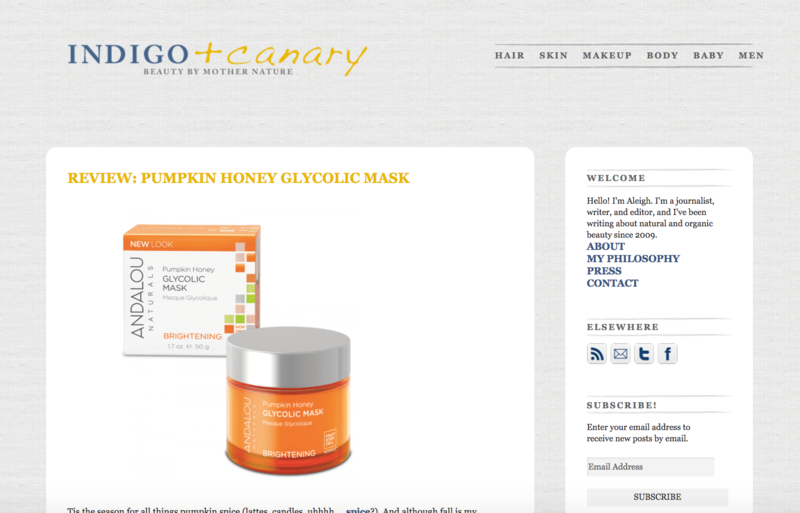 Their blog shares a lot of ways to really look at your skin and listen to what your body needs, rather than just slapping on the same products every day and night for years. In fact, it was some of their blog posts that got me to stop wearing makeup every single day like my life depended on it and actually really looking at my skin and designing skincare rituals that delivered what my skin needed. 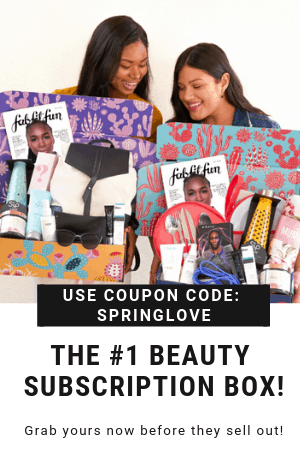 Do not click on this blog unless you are prepared to suddenly throw out every beauty product you have and start immediately making your own. With deep dives on particular ingredients, such as Dead Sea Mud, and easy to follow videos on how to make products like whipped body butter, you’ll be a pro at stocking your own cabinets with the freshest, cleanest beauty and body care products around. This is clean beauty with a serious sense of humor. The sass is rich with this one, and I like it. Inspired by her cancer diagnosis and journey to recovery, she has a knack for demystifying how to make better choices and find the best clean products for any budget. Under “Beauty School”, you can find all sorts of great info on toxic ingredients, swaps, resources, her beginner’s guide, and more. Roam around the tabs to find a wealth of information – sort of like getting lost in the book stacks at a good library. Seriously – a must read. 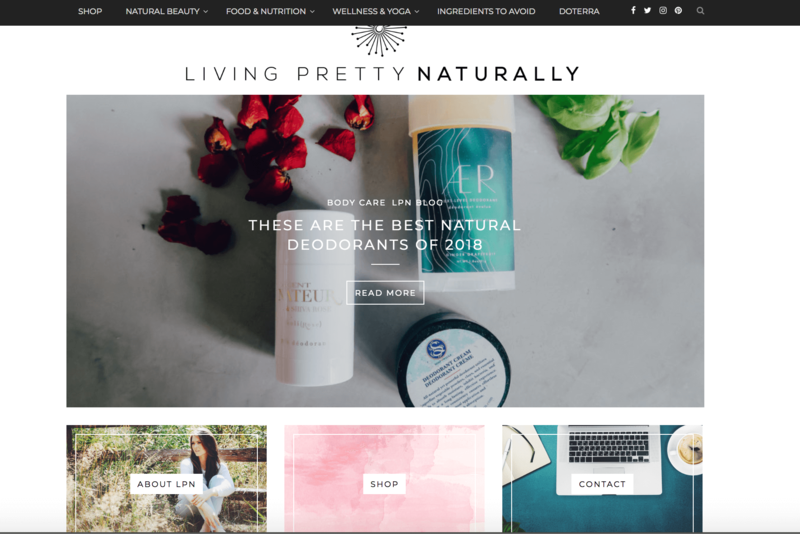 Not just a cool name, this clean beauty blog packs a serious punch – in the form of major coverage on all things clean beauty. Most notably, I&C has excellent coverage on clean beauty for babies and men, too! That’s right – clean it up for the whole family, friends. Indigo & Canary is an excellent resource for the person looking to clean it up for their whole crew. I mean, I couldn’t, right? 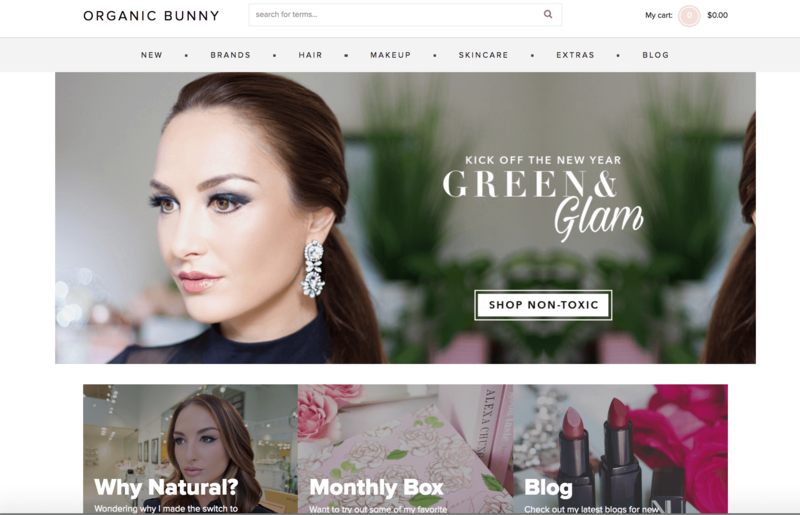 I couldn’t write a whole post on clean beauty sites and NOT mention one of the most well-known and controversial clean beauty sites – ever? What makes it amazing is it’s in-depth, absolutely unafraid take down of the garbage out there in our products and calling people to make better choices. What’s controversial is that the recommendations are most certainly geared towards a certain income bracket. But, there’s gotta be something for everyone. We do not need to appeal to all people, so long as we really effectively and clearly reach the people we are intending to reach. You feel me? 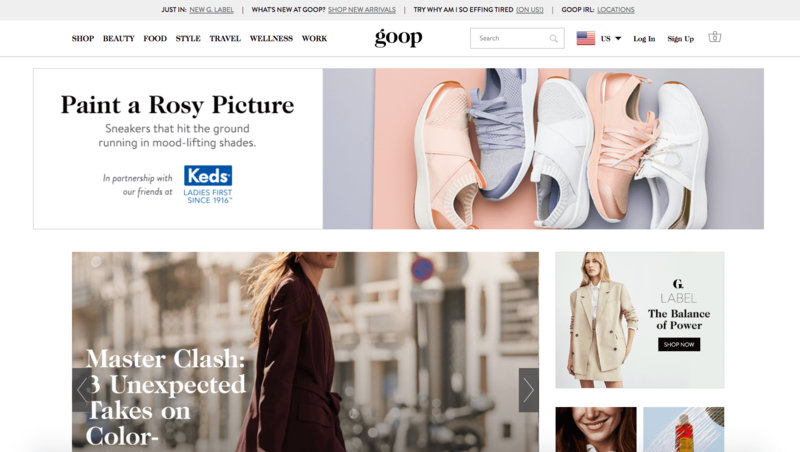 Goop is really on the cutting-edge to the latest info on health, wellness, and products. 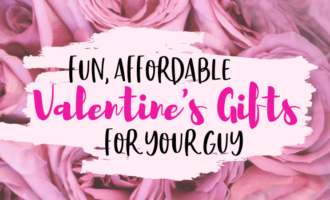 And, with their own beloved line of products and an impressive collection of curated products in their shop, you won’t be short of ideas of how to spend your hard-earned money. Is this not the cutest blog name ever? Adorbs. The blog lives up to the name, too, and offers an incredible resource for switching up the products in your life. Heck, she even teaches you how to make your own dog food. 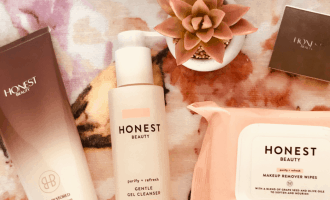 With her own clean beauty box subscription, too, you’ll see the level of commitment and dedication this blogger has to bringing you the newest and best clean beauty products on the market. What I really go to her for, though, is her exquisite makeup looks, like this one, because she lists all of the products she uses and it’s like Christmas day getting to learn about all of these new products. Clean beauty is not boring. It can be anything you want it to be. Organic Bunny will show you how. Whew – there it is. A deep dive into the clean beauty blogging world. 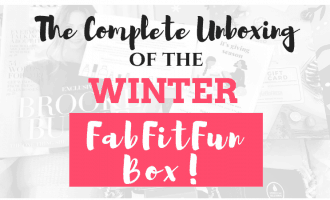 From huge, game-changers like Goop to the everyday blogs we know and love, there’s something for everyone. I love that clean beauty is becoming more of an expectation, more of a norm, because as people continue to pick the clean product, it’ll pressure the other companies to start rethinking what they’re putting in those products that we are slathering on our faces, bodies, and family members. With more affordable clean beauty options popping up on the market every day, it’s no longer the beauty game of the elite. It’s accessible. It’s affordable. It’s effective. It’s for everyone. Do you have a favorite clean beauty line? Share it in the comments below! I was looking for some information on skincare and came across your post: 10 Incredible Clean Beauty Blogs You Should Be Reading! It’s really nice! I especially liked how you mentioned with a super clean design that makes it very easy to navigate around and more to offer than just beauty. Hi Izyl! Thanks for reading! I’d love to see your infographic. Retinol is one of the best ingredients for healthy, youthful looking skin.